Huge Savings Item! Save 15% on the Wilton Perfect Results Ceramic Pizza Stone, 15-Inch - Ceramic Baking Stone by Wilton at Baking Love. MPN: 2105-0244. Hurry! Limited time offer. Offer valid only while supplies last. Want pizza with a nice, crisp crust? Use this Wilton ceramic pizza baking stone. The porous surface absorbs moisture so there's no more soggy crusts! Want pizza with a nice, crisp crust? 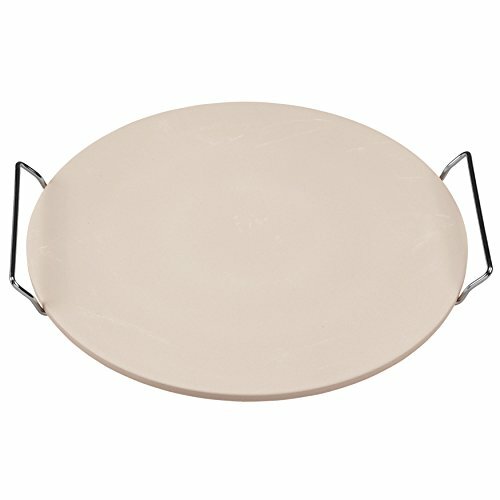 Use this Wilton ceramic pizza baking stone. The porous surface absorbs moisture so there's no more soggy crusts! It heats evenly and keeps food warmer longer when serving. This ceramic pizza stone also comes with a heavy-duty chrome rack for easy lifting in and out of the oven.